"Our feedback shows that magnetic products are typically bought by those suffering from the pain of arthritic joints"
The Magnetic Thumb & Wrist Wrap contains 14 high grade magnets, two of which can be positioned individually within the wrap for your maximum coverage. The most common type of arthritis that affects the joint at the base of your thumb as it attaches just above your wrist is osteoarthritis. This type of 'wear & tear' arthritis tends to be progressive over a period of time but supporting the joint is usually advised as a drug free method of pain relief particularly if you do not tolerate anti-inflammatory and analgesic medication. 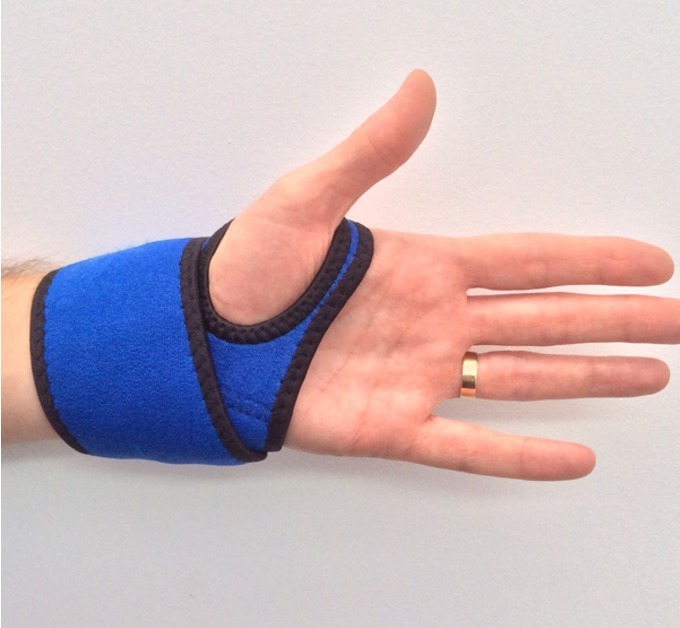 Easy to Use: Simply slip your thumb into position and wrap the support around. 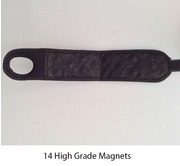 Once in position you can then position either or both of the extra individual magnets contained within their own cover with velcro for attachment. 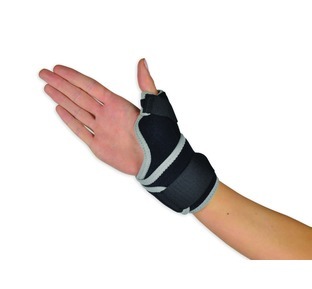 The magnetic wrap is suitable for either hand and allows the thumb and fingers excellent mobilty when being worn. We find many people wear these over night to help with pain relief of their thumb and wrist. 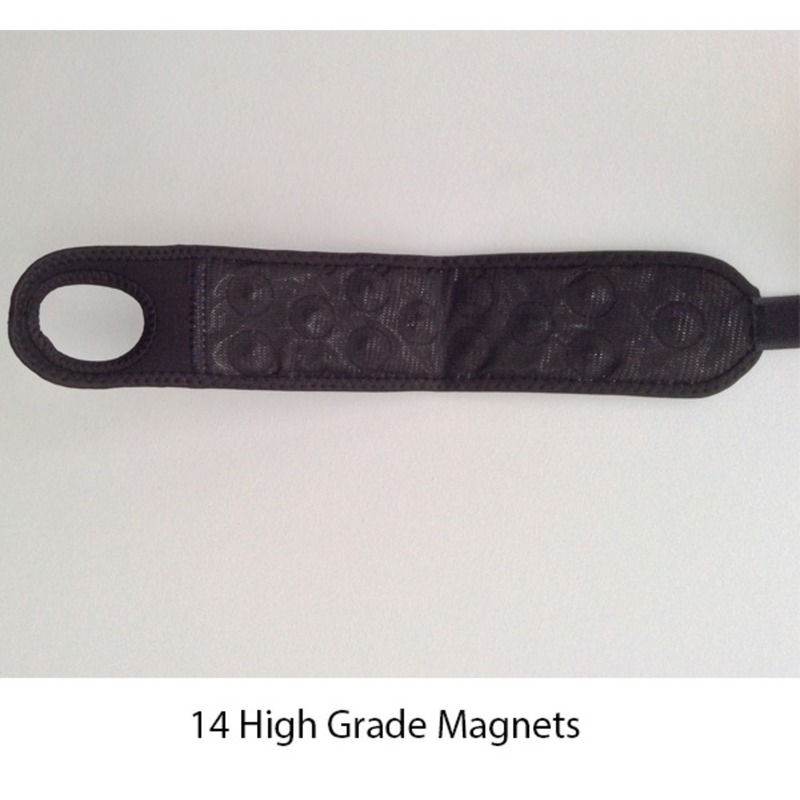 The Magnetic support belt should not be used by anyone who has a pacemaker, defibrillator, insulin pump or any other device that is operated and powered by a battery whether as an implant or external unit. It should also not be used if you have a cobalt implant, but implants of stainless steel or titanium are fine. This arrived very quickly and I have been using it for two weeks now. It is easy to still use my hand when i am wearing it. I feel my thumb stiffness has reduced in the last week since wearing it most of the daytime. Overall a good product and I would recommend it. 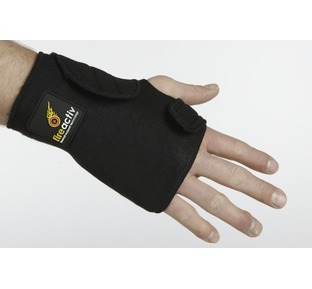 "A natural, safe and drug free option to help treat wrist pain, sports injuries, RSI and arthritis. 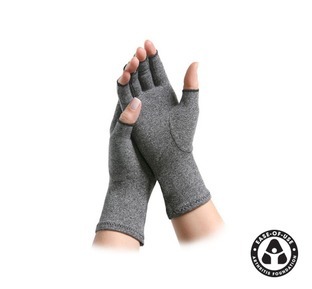 It is so light and easy to wear that it can be worn for all day soothing heat relief"
"With an Athritis Foundation "Ease of Use" seal these gloves provide genuine warmth and help"
"A great quality product offering support and protection of your thumb. 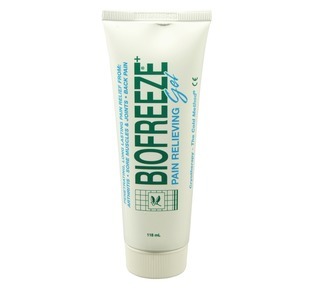 Also suitable for Skier's Thumb"
"I use Biofreeze as part of my everyday Osteopathic work because I believe it really does help"